The easiest, fastest way to catalog your collections. Unique and innovative library management, inventory and database solutions for collectors, schools, churches, libraries, and other organizations all over the world. 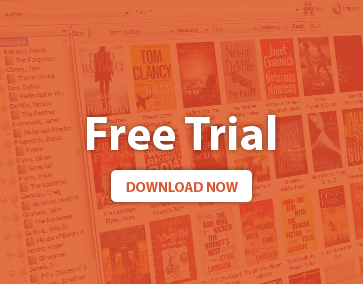 Lets you feed in a list of ISBNs, UPCs or barcode scans. 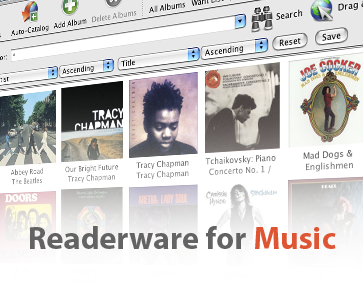 Readerware then does the rest, automatically searching the web and cataloging your books, music and videos. 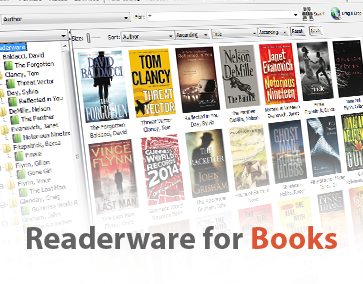 Readerware can merge information from multiple web sites to build the most complete database possible, with cover art. Automatically and effortlessly. 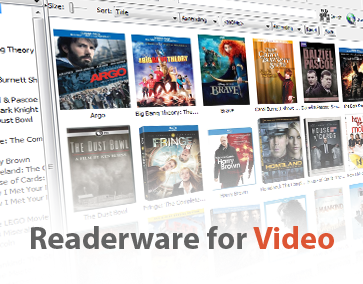 Want to catalog a few items or build your database while you browse the web? 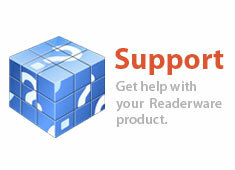 Readerware drag and drop support will do just that. Find a new CD by a favorite artist? 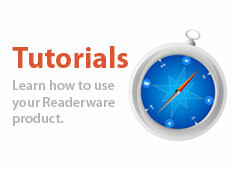 Drag from your browser and drop on Readerware. It is cataloged! It really is that easy. Get a free CueCat barcode reader when you order a three product bundle on CD or add a barcode reader to any order. Available for Windows, Linux, Mac OS X, Android, iPhone & iPad.